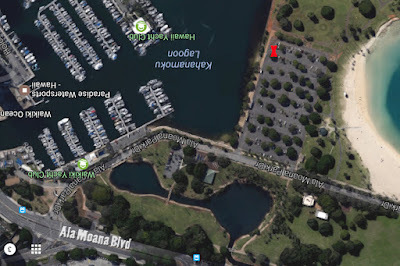 At Atkinson Drive and Ala Moana Blvd you can enter Ala Moana Beach Park. Drive about one block until you see the main parking area on the left, and drive down to the end of the parking lot (left hand side). We will be waiting for you there. *MiniVan or Limousine Transportation available upon request.